Get Excited for one Heck of a Week! Starting on Monday Jan. 18th begins one of the most action packed #DCWeeks EVER! will aire at 8pm Monday Night, Jan. 18th, 2016, on CBS. Supergirl giddy to be flying next to Martian Manhunter. On Tuesday is the Premiere of the Second half of Season Two of the FLASH! It will aire at 8pm on Tuesday, Jan. 19th 2016 on the CW. 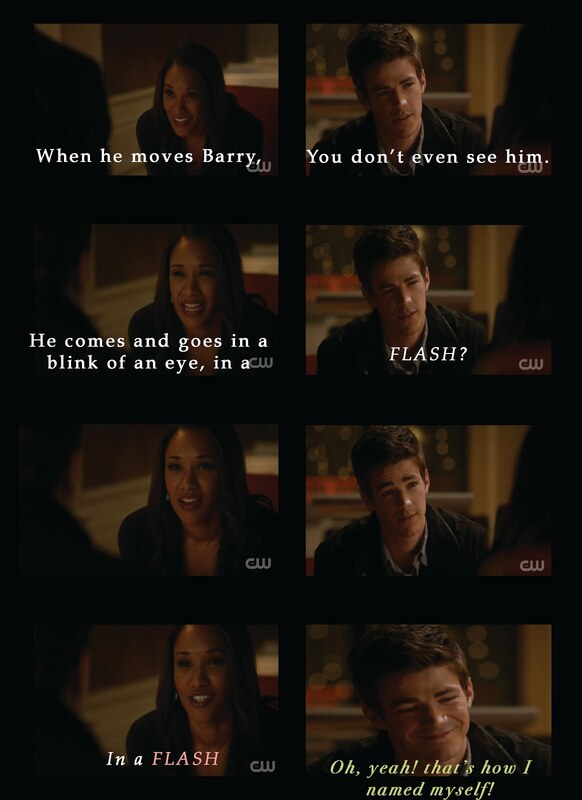 Will Barry Finally Tell Patty? And How is Wally fairing in the West Family? Watch it and find out!! After a behind the scenes look of Legends. and possible the New Wonder Woman movie and other future DC movies. The Next Night is the Premiere of the Second Half of Season Four of Arrow! Arrow turns dark and the fate of Felicity is in the wind. Will she live or die? Could she end up in a wheelchair? Will Ollie take Darhk down? Check out this episode to find out! Legends of Tomorrow's first episode on Season One will Premiere! We will get to meet Rip Hunter! And Watch Captain Cold and Heat Wave become Anti-Heroes! Lots of Time Travel to occur, and Vandal Savage is Back! 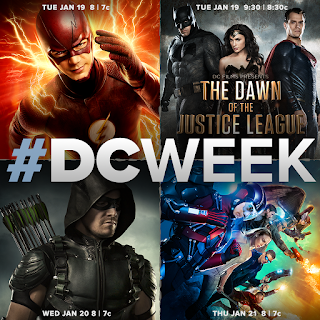 What an action packed Week ahead and that's just DC! and the series finale of Heroes Reborn.